BREEDERS’ CUP PRE-ENTRY ANNOUNCEMENT ON WEDNESDAY – Pre-entered fields for the 2018 Breeders’ Cup World Championships will be announced via a live stream on the Breeders’ Cup website, Official Mobile App and Facebook page on Wednesday at 11:30 a.m. ET. Breeders’ Cup Pre-Entry is the first stage of a two-stage entry payment process for all owners intending to start a horse in a Breeders’ Cup World Championships race. The first payment is due by 12 p.m. ET on Monday. The second payment is due on Monday, Oct. 29 when entries are taken for all 14 Breeders’ Cup races, and post positions will be drawn later that day. DOWN THE STRETCH – Hall of Fame trainer Bill Mott’s assistant Kenny McCarthy reported Breeders’ Cup Classic (GI) contender Yoshida (JPN) could breeze Monday at Churchill Downs. … Imperial Hint, one of the likely favorites for the TwinSpires Sprint (GI), is expected to arrive at Churchill Downs from Parx on Monday evening and will be stabled in Barn 17, according to Churchill Downs Director of the Stable Area Steve Hargrave. … Trainer Ian Wilkes’ Breeders’ Cup Turf (GI) aspirant Quarteto de Cordas was originally scheduled to work Sunday at Churchill Downs but the breeze was called off due to a loose horse on the track. 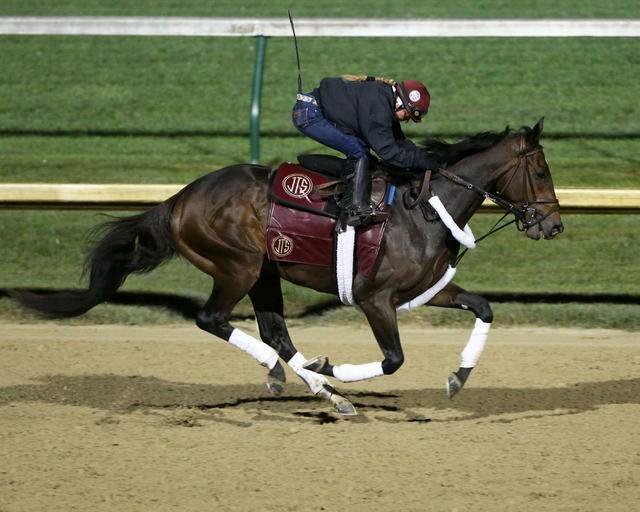 The colt could breeze Tuesday on the turf, according to Wilkes.